Courtesy of Coldwell Banker Woodland Schmidt Muskegon, Doug Hale. ”Condo Buyers”. You will not want to miss this one!! Positioned perfectly in one of the most sought after condo buildings in the city, this condo’s features will more than satisfy today’s fussy luxury condo buyers. 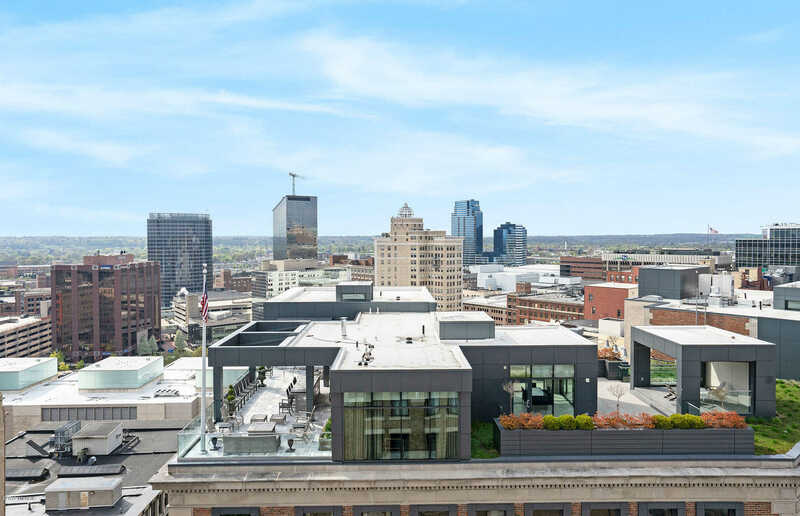 This condo offers the best views of Grand Rapids with a private oversized roof top deck in the heart of the downtown. Total walking distance to virtually everything….great restaurants & entertainment, art studios & grocery stores. Tastefully decorated with custom paint colors & an open floor plan that you will not want to miss. Completely renovated roof top deck & elevators. Enjoy the location!!! Its the Best!! !